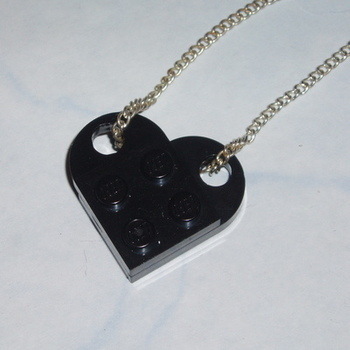 This fab and funky pendant is made using 2 Black 2 x 3 Lego Plates securely glued together to make a LEGO Heart. The LEGO Heart is then attached to a silver plated chain, you choose the length. You can add a sparkling Swarovski crystal to give an added twinkle.